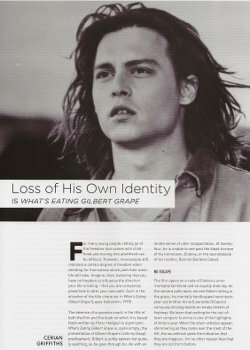 Essay Extract: Loss of his own identity is What’s Eating Gilbert Grape. For most young people, the move into adulthood isn’t always easy. The difficulty often lies in letting go of childhood. Childhood generally represents freedom from responsibility, long summer days, no pressure, food provided and washing done. Then high school begins, education escalates, and teenagers experience the pressures of exams and drive to succeed. There may be summer jobs, perhaps university, or straight into the work force. At some point, a young person is usually faced with the decision of leaving the family home and providing for themselves, taking full responsibility for their choices. Sometimes they may work for a few years, then go travelling, see the world, before focusing on a career. More often than not, when someone reaches adulthood, at least to a certain degree, they are free to decide for themselves which path their life will traverse. Imagine then, believing you have no freedom to influence the direction your life is taking, no ability to choose for yourself, to walk away from the family home and responsibility, that you are completely powerless to alter your own path. Such is the situation the title character finds himself in, in What’s Eating Gilbert Grape (Lasse Hallström, 1993). Please refer to Screen Education Magazine for the complete essay. « A Few Words for My Beloved Cat…. Cerian Griffiths is a freelance writer, editor, proofreader, manuscript appraiser - and Jill of all things 'word'. To work, or not to work?